A private complaint has been registered against National award-winning actor Prakash Raj in a Lucknow court by a lawyer over his recent remarks on Prime Minister Narendra Modi, news agency. The court is scheduled to hear the complaint on October 7. While speaking at the 11th state meet of the Left-leaning Democratic Youth Federation of India (DYFI) in Bengaluru, the actor launched a scathing attack against PM Modi over his “silence” on the Gauri Lankesh murder, saying that he is a “bigger actor” than him. “Who killed my dear friend Gauri is not as important to me today as who has been celebrating her death. There may not be proof as to who killed Gauri but we can see who is celebrating it and from this we can form an idea of who could have killed her. The underlying cruelty in all of this is apparent to many people. Many of those celebrating Gauri’s death are persons followed by the Prime Minister on social media. The PM has been absolutely silent about these people,” said Prakash Raj. He went on to say that: “When we see these people going around acting as if nothing has happened, I feel like giving them the five National Awards I have won for acting.” “Look I am a seasoned actor, can I not see through the acting? Give me some respect. Am I stupid? Are people foolish that they cannot see through all this? Are the youth of today blind? The time has come for Modi to understand this,” Raj continued. 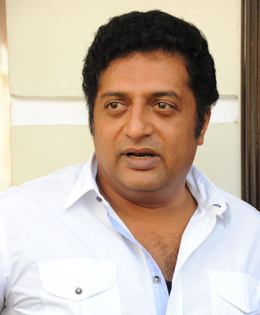 Prakash Raj is a prominent name in Kannada, Telugu, Tamil and Hindi film industries. He has won five National Film Awards for his incredible body of work in the movies.